A guide to the many digital projects designed, created, and/or maintained by our staff. Provides full-text searchable access to the opinions of Brett Kavanaugh during his tenure on the United States Court of Appeals District of Columbia Circuit. A Legal Data Lab project . 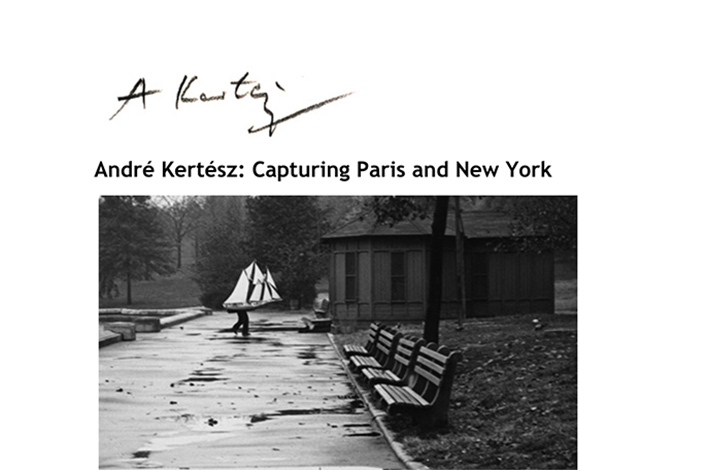 A collection of André Kertész photographs consisting of fifty 8½ x 11 silver gelatin prints, taken from 1925 to 1969 and donated by an anonymous alumnus of the School of Law in 1985. Accompanying maps provide geographic context. 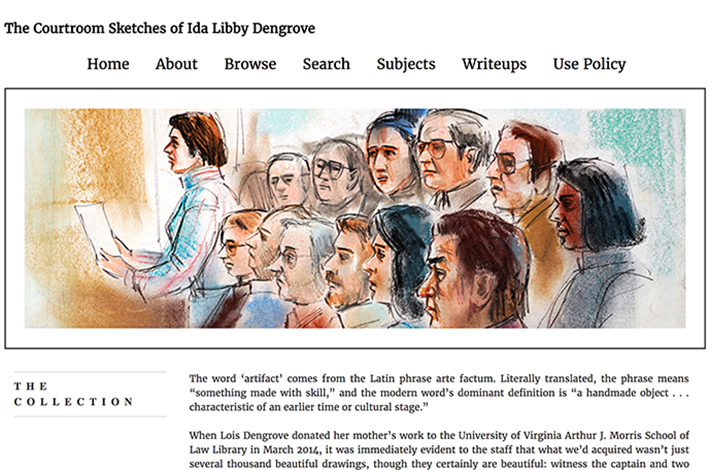 A digital exhibit featuring nearly 6,000 sketches by Ida Libby Dengrove, courtroom artist for WNBC New York from 1972 to 1987. She sketched some of the most noteworthy trials of the late twentieth century and won two Emmys for her work. 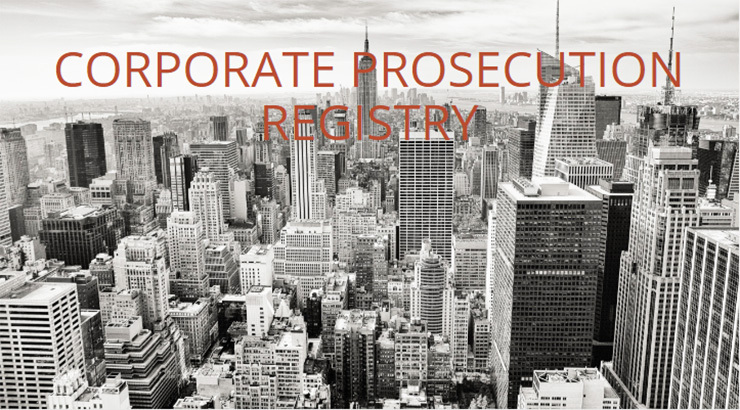 Comprehensive and up-to-date information on federal organizational prosecutions in the U.S.. Includes detailed information about every federal organizational prosecution since 2001, and deferred and non-prosecution agreements since 1990. Project by Brandon Garrett and the Legal Data Lab. 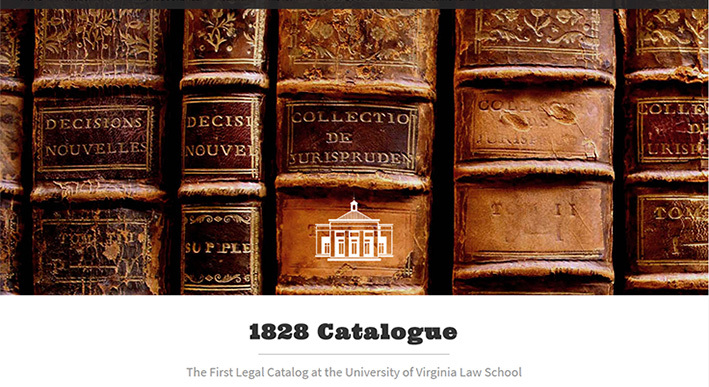 The 1828 Catalogue Law Books Collection is an ongoing effort to amass the 375 law titles listed in an 1828 inventory of books in the University of Virginia Library. This online collection presents a virtual bookshelf to explore the books we have acquired so far. In May 1970, the American invasion of Cambodia led to protests on university campuses across the country, including the University of Virginia. 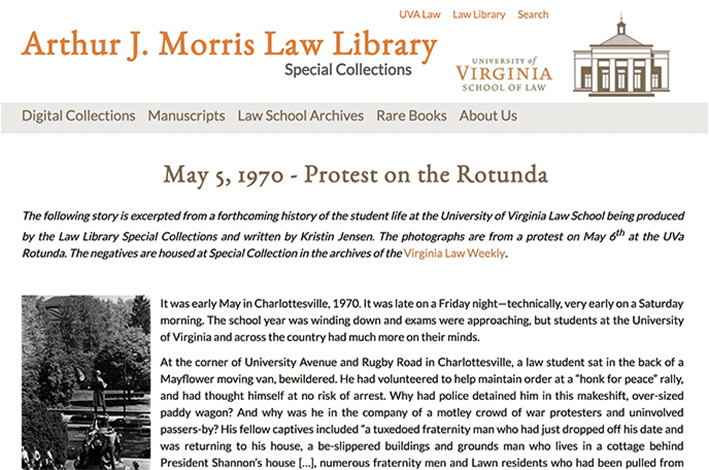 These unpublished photographs from the Virginia Law Weekly archives capture scenes from student rallies. 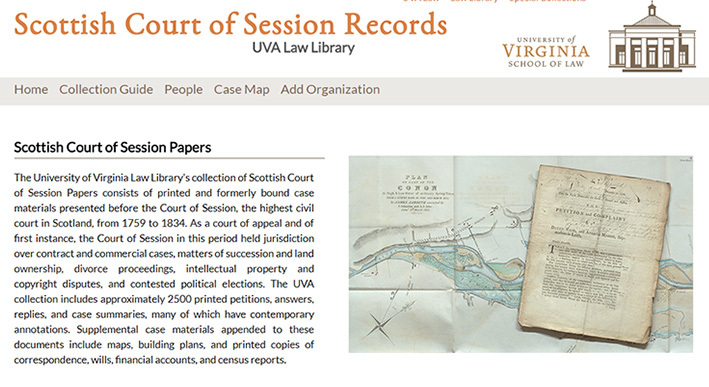 Provides a comprehensive and searchable set of materials relating to the Hon. Neil Gorsuch’s career on the 10th Circuit Court of Appeals. Majority opinions, dissents, and concurrences authored or joined by Gorsuch and references to his published work and speeches are presented here. A Legal Data Lab project. 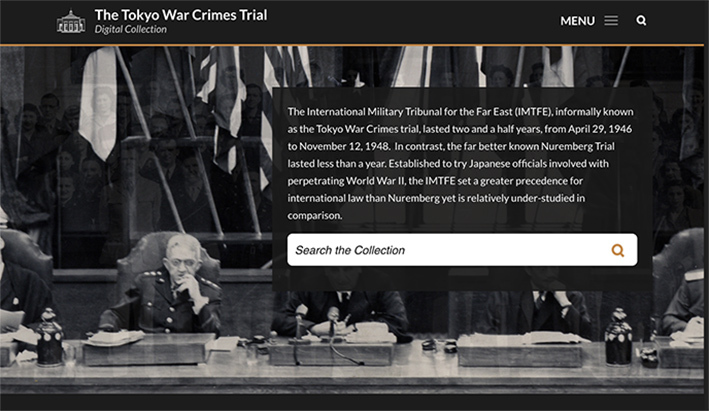 An extensive collection of materials from the International Military Tribunal for the Far East (IMTFE) (1946-48), including the papers of three members of the prosecution team and one defense counsel member. 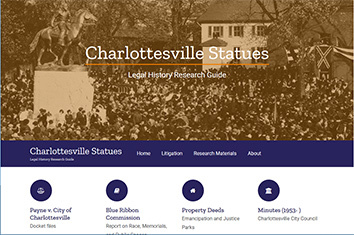 This guide to researching Charlottesville’s Lee and Jackson statues includes digitized documents from Payne v. City of Charlottesville, Charlottesville City Council minutes, and links to research materials such as municipal records, published texts, and archival collections. 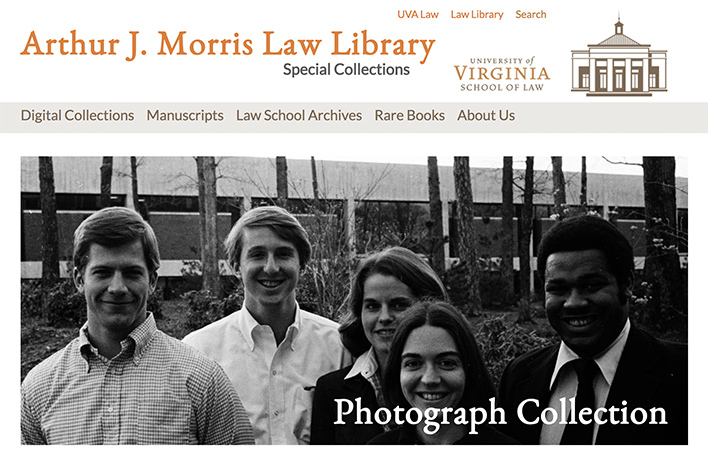 Our digital collection or photographs features thousands of images featuring scenes from the Law School's history, the earliest dating from the 1880s. Particularly rare and valuable are class photos from the late nineteenth century. 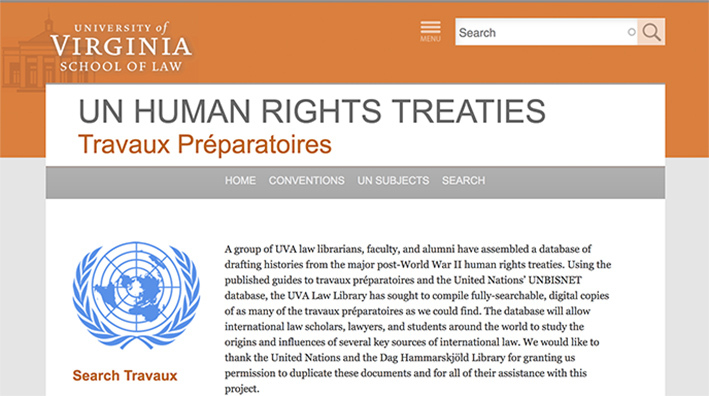 A database of drafting histories from the major post-World War II human rights treaties, based on the published guides to travaux préparatoires and containing searchable, digital copies of all available English-language documents. 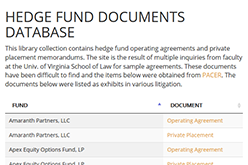 This library collection contains hedge fund operating agreements and private placement memorandums. A collection of case materials presented before the Scottish Court of Session, the highest civil court in Scotland, from 1759 to 1834. The petitions, memorials, and maps included in this collection offer researchers a rich portal into life and law in the 18th- and 19th-century British empire. County-level datasets, visualizations, and supplementary materials on all death sentences in the United States between 1991 and 2016. Updated annually.